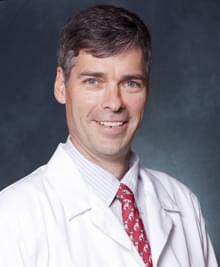 Dr. Meyer has enjoyed the beauty of the Austin area since 2000 when he moved here with his wife and three children. In addition to a busy surgical practice, he has served as the DCMC Surgery Dept. Chair and is the present Chief of Staff. He is also a board member of Hill Country Conservancy. I was always the child who could fix broken things around the house and I enjoyed the manual dexterity required to repairing things. In college, I was blown away by the intricacy and logical construction of the human body during an anatomy course. Surgery appealed to me as a way to both fix a body that is broken and to help people emotionally through a difficult time in their lives. Taking care of children and their families, getting them better and back to their usual shenanigans has been immensely satisfying. My goal in taking care of children is to address their surgical problem with the least invasive method possible. Many of the problems children have can be cured using a laparoscopy or thoracoscopy, which can enable the child to recover quicker and with less pain.